PLANS for a high-speed rail link to the edge of Liverpool have been quietly dumped, apparently to save money – adding to the journey time to London. The 250mph trains were expected to run at top-speed from the capital to just south of Manchester, before slowing to conventional speed for the final 30-odd miles into Lime Street. But The Liverpool Post can reveal that the trains will now switch to standard speed around 50 miles further south, at a point just north of Birmingham. The move would make journeys from Liverpool to London a full 38 minutes slower than Manchester to London. Last night, the department for transport (Dft) – which kept the change under wraps – was accused of a “sneaky move” that would leave Liverpool passengers in the slow lane. Furthermore, the economic consequences could be devastating, ministers were warned – because the new plans will hand a huge advantage to Manchester in the battle for investment and jobs. High-speed trains (HS2) from the capital were expected to take just 16 minutes longer to reach Liverpool than Manchester, once the second stage of the £32bn project – from Birmingham to Manchester – is completed, in 2032. That difference in journey times has now more than doubled to 38 minutes, a potentially clinching factor for any business deciding where to set up in the North West. One academic, who has studied the impact of high-speed rail lines on different cities in France, warned last night that Liverpool would be “collateral damage” – as Manchester prospered. Labour vowed to press ministers to think again, when an initial consultation on routes and stations north of Birmingham is held later this year. There seems to be good news in Cornwall where the county council there has agreed a budget of £2.4m over the next two years to protect vital rural bus services. Ninety-five rural bus services in the county had been threatened because of a cut in government subsidy for socially-important bus services. Cornwall County Council admitted that despite the new funding, it couldn’t guarantee fares wouldn’t go up. It is also going to ask the government if it can trial a 50p charge to free pass holders to further prop up the threatened routes – which seems to be an admission that the £2.4m is probably not enough. 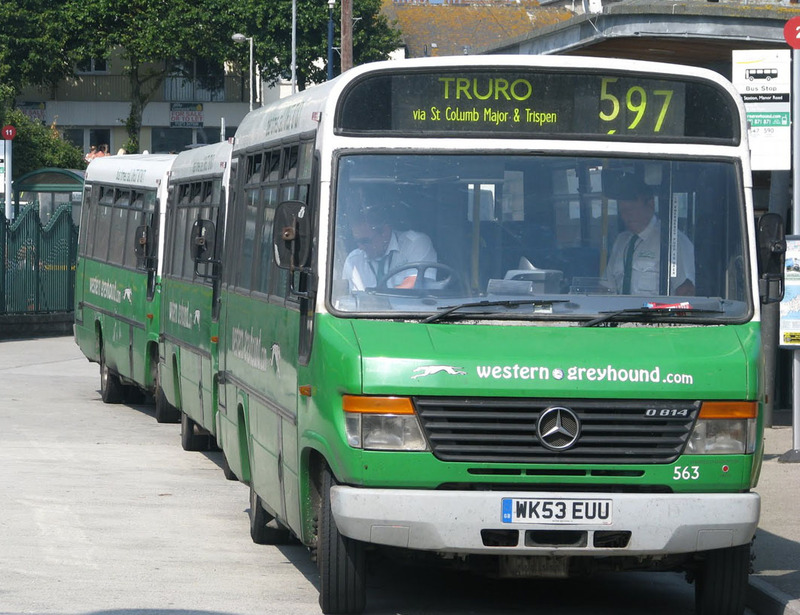 At the moment there are 126,000 free bus pass holders in Cornwall, plus thousands more visitors, who will all be affected if the Department of Transport allows the county to become a national pilot area for the 50p charge. Councillors lay the blame for the threat to bus services squarely on the Government for shaving £2.3 million from the money the council needs to reimburse bus companies for concessionary bus journeys. At the moment the council reimburses almost three-quarters of the normal single adult fare on concessionary journeys – but this figure will tumble to just half in April. Neither can the council guarantee that fares on ordinary commercial bus services, which are operated without subsidy, won’t go up too. Mark Howarth, managing director of Western Greyhound, reckoned that the extra funding was good news for the public. “We’ve been saying all along the importance of bus services to the people of Cornwall, and I think that has been recognised by virtually all the councillors that they voted for extra money,” he told local media. Howarth also said that he didn’t believe the Government would support the council’s plans to make concessionary card holders pay a 50p charge for what is essentially a free journey. He may very well be right. If so, Cornwall County Council could find itself in an even tighter financial spot before the year is out. The Hammersmith flyover could be replaced by a tunnel when it is finally pulled down, says Boris Johnson. The flyover is causing traffic misery every day as engineers battle to fully reopen the bridge in time for the Olympics. The Mayor has now raised the possibility that it could eventually be replaced by a tunnel. The 50-year-old flyover, which carries the A4 over the centre of Hammersmith, was shut on December 23 when steel cables that hold the 900 metre-long concrete structure together were found to have corroded. Investigations over Christmas revealed some cables had snapped, raising concerns about the four-lane structure’s ability to carry traffic volumes of about 90,000 vehicles a day. It is now open to one lane of traffic in each direction. Repair work will focus on strengthening six of the 16 spans of the structure to ensure that they can carry full traffic loading by the Olympics. After the Games, engineers will strengthen the remaining 10 spans of the flyover. The Mayor has said he believes the repairs will extend the life of the bridge by up to 15 years. Nick Botterill, deputy leader of Hammersmith & Fulham council, said: “Local people need to be at the heart of the debate about the long-term replacement for Hammersmith flyover and now is the time to start thinking about what could replace this ugly and outdated structure. A spokesman for the Mayor said: “The priority is to get the Hammersmith flyover fully operational as soon as possible. That work will keep the fly-over open for 10 to 15 years during which time it would be prudent to consider what a replacement might be. 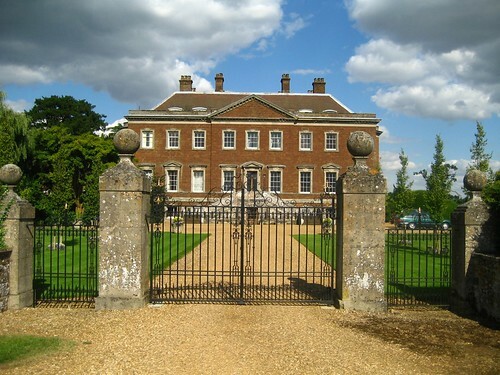 Undoubtedly the greatest heritage impact of the consulted HS2 route was on Edgcote Hall. A grade I listed building in Northants, together with a registered parks and (possibly) a battlefield. The route would have cut through the park just east of the ornamental lake, a short distance from the house. Justine Greening has announced today that route has been revised to loop around this cluster of sites. As its name suggests, ’Tram Experience’ aims to offer a gastronomic and touristic experience that is unmatched anywhere in the world. Guests will be able to enjoy several classic dishes of Belgian gastronomy, all modified for the occasion by top chefs. 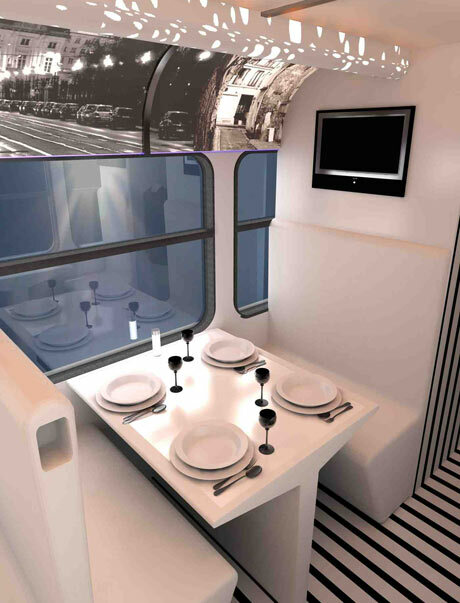 At the same time, they will be travelling along some of the Region’s most attractive roads, seated inside a vehicle with a white, sleek and modern decor. €75 per person all-inclusive, but still necessary to book well in advance. The tram rolls into action on Valentine’s Day. 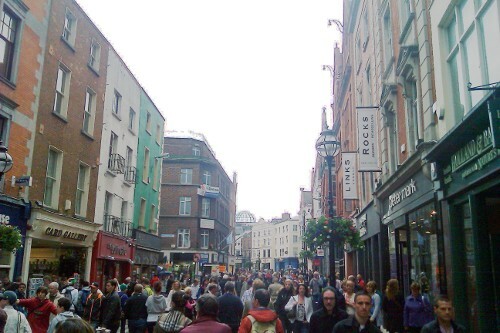 With a 1% decrease in the central congestion charging area – because of the removal of the residents 90% discount. Both in line with predictions.